We’ve mastered the process of painting your kitchen cabinets to achieve the vibrance and durability of a high-end factory finish. Cabinet doors and drawers are taken off-site to our specialized spray shop, and the whole process only takes 6-8 working days on-site. 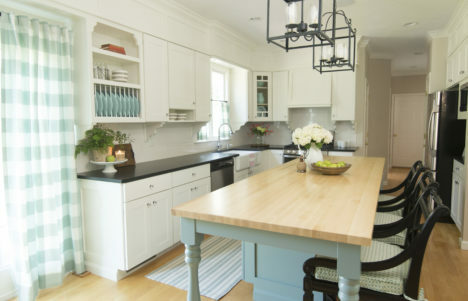 Hubley Painting & Carpentry transforms your kitchen quickly, painlessly and cost-effectively. Achieve your dream kitchen without the expense of installing new cabinets. Request a quote today to learn more.